Congrats Nick Crozier, Pharmacist of the Year! 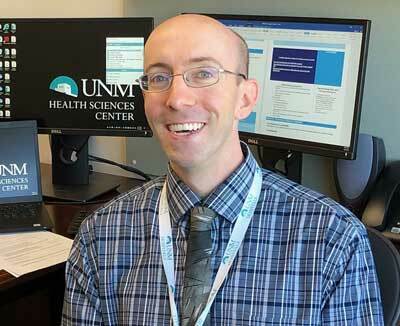 The New Mexico Society of Health Systems Pharmacists selected Nick Crozier, PharmD, as the New Mexico Pharmacist of the Year for 2018. Dr. Crozier manages the pharmacy in the chemotherapy suite (fourth floor) and the out-patient pharmacy (first floor).